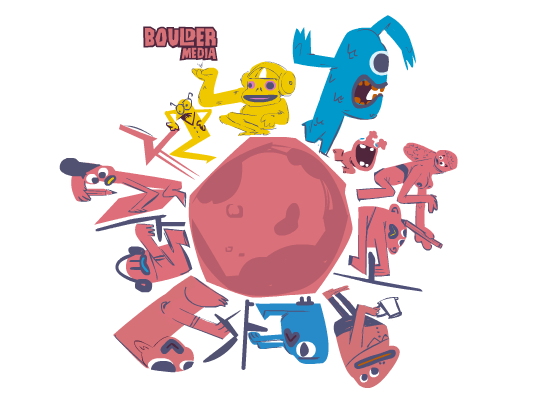 I designed this for the Boulder Media crew, t-shirt competition. I know it seems a bit random but it was so much fun to draw! I focused on the silhouette and shapes of the design the most because I wanted to keep it really graphic and simple, something more appropriate for an actual t-shirt print. Nice one! Really happy to see you submitted something, voting will be on Tuesday! Hope you guys are having a good holiday!